The iconic girlband confirmed this week that they will hit the road in 2019 with at least six concerts. Mel B, Melanie C, Emma Bunton and Geri Horner are all on board – with Victoria Beckham amicably stepping aside. Beckham has long been adamant that her performing days are over, which is what initially caused Melanie C’s reluctance. Now, however, she’s changed her mind – and on BBC Radio 2 this morning she explained why. “You do feel differently as time goes by,” she said. “I was so frightened to do anything after [the Olympics] because it was special but we love getting on stage. Geri recalled: “In 2012 we did the Olympics and there was always that feeling on and off that some of us wanted to, and it just kept on changing. “Finally about six months ago, how it started was Mel C was like [reluctant], wasn’t sure, and Mel B and Emma always wanted to do it all the way through it. 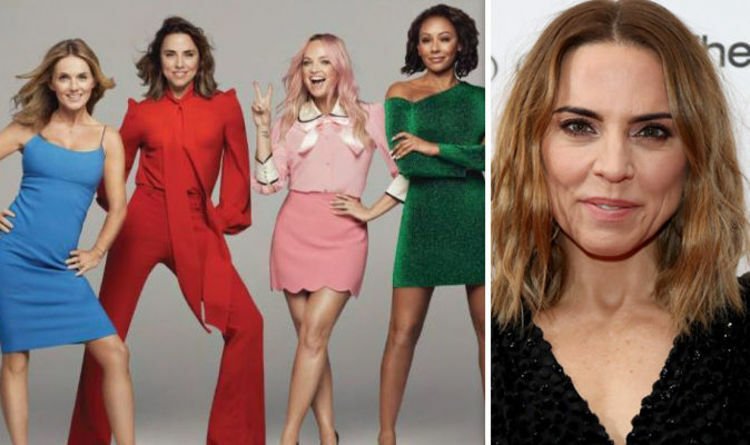 Geri said she told Melanie C about the offer that was on the table – and was surprised to hear that Sporty Spice had a change of heart. Tickets for the tour go on sale on Saturday morning, although the group are widely believed to be adding more dates if demand for tickets proves strong enough. Jess Glynne will be the support act on the six stadium shows. The Spice Girls shot to fame in 1996 and became one of the most iconic pop acts of all time. Geri quit in 1998 and they went on hiatus at the turn of the millennium. All five returned for a world tour in 2007, before performing at the Olympics Closing Ceremony in 2012.